I was extremely fortunate – good timing and pricing on my side – to acquire a full human skeleton recently. 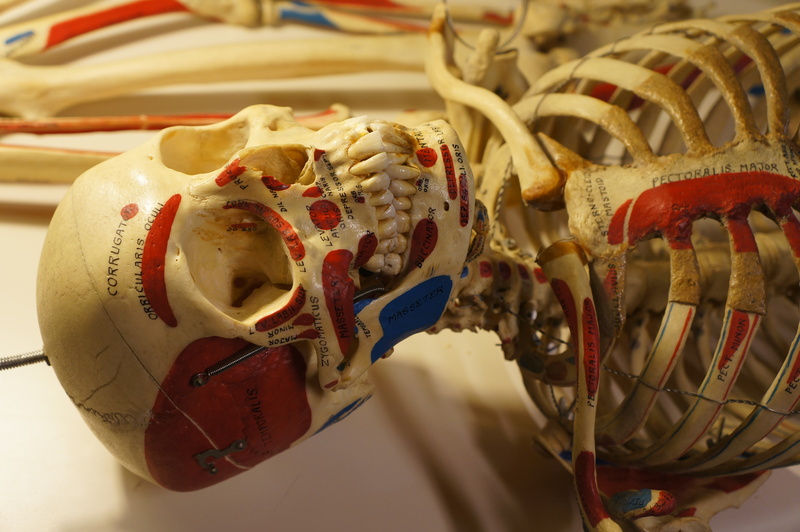 As a massage therapist and massage therapy educator I have been a student of human anatomy for many years now. I thought I knew my stuff. But now I have spent a few hours with this specimen because it was very dusty and in need of cleaning. As I swiped over much of the surfaces of these bones with a swab soaked in hydrogen peroxide, I had a chance to fully examine a real skeleton from head to toe. I am humbled by the real thing. These bones are such beautiful natural sculptures. They are so much more intricate than any copy I’ve studied before. It’s hard not to be moved in some fundamental way. I’m sure every skeleton tells a story of its life. Yes, that’s it exactly! 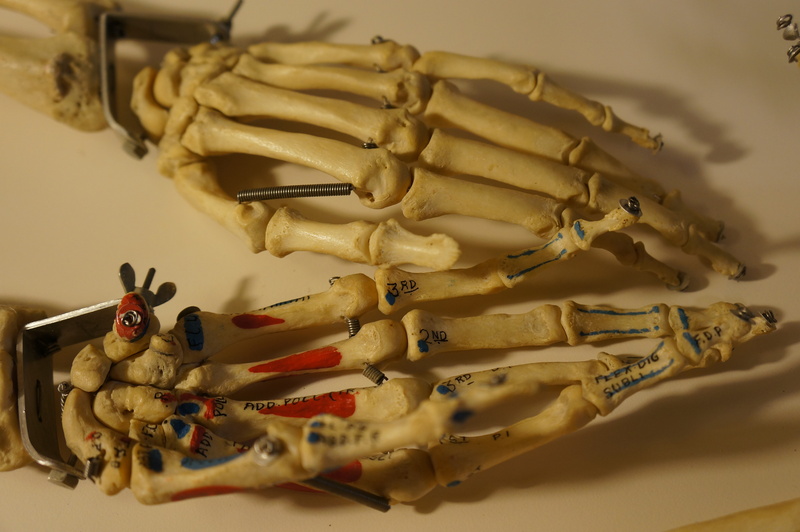 It is a much richer learning experience than anatomy study from plastic replicas.